Mid-term fibromyalgia treatment I call it mid-term fibromyalgia treatment because it usually lasts only a few months. Those are the drugs that can be used in fibromyalgia therapy. Painkillers are always used at one stage or another, especially at the beginning of fibromyalgia. - Paracetamol or acetaminophen is considered as a weak painkiller but it has the advantage of being innocuous at normal doses. It can take the edges of the pain and is a good addition to any treatment in fibromyalgia. - The non-steroidal anti-inflammatories (NSAID’s) and the steroids (such as cortisone). There is no place for them in fibromyalgia unless fibromyalgia occurs in someone with an inflammatory disease. Even if fibromyalgia has an inflammatory reaction, it does not respond well to those drugs. - The µ (mu) agonists such as codeine, tramadol, buprenorphine or morphine (known as opiates) are strong painkillers but they tend to lead to an unending escalation of doses when used on their own. They can be used for limited periods in fibromyalgia. They have been shown to lose their effect over time. This is due to an effect they have on the memory of pain receptors (NMDA). They excite those receptors and therefore make pain easier to kick in, negating their good effect on pain! In fibromyalgia, those receptors are already excited! Again, this is another reason to use magnesium supplements as magnesium blocks these effects on the NMDA receptors. In fact, I never prescribe any mu agonists without prescribing magnesium. It also helps for the constipation which is a normal side effect of opiates. - Anti-epileptic drugs. Those drugs have been known for a long time for their ability to decrease neuropathic pain. They do it by decreasing the speed at which the pain signal is carried by nerves. Fibromyalgia, as any other chronic pain disease, acquires neuropathic characters that are secondary to the fibromyalgia muscle cells disease. Sometimes, a primary neuropathic pain may be the stress factor for fibromyalgia to kick in. Recently a theory on fibromyalgia has appeared, defining it as a central pain. At the same period of time, one of the new antiepileptic drugs has been cleared for use in any neuropathic pain, including central pain. Coincidence or not, they claim to be one of new fibromyalgia treatments. I shall discuss it in the chapter on “other theories”. The proofs are scanty that it helps for fibromyalgia and the follow up was limited to a few weeks. That is a bit short for a life disease! My experience is that on its own it is disappointing. - Anti-depressant drugs. Some anti-depressants have been shown to help in chronic pain and fibromyalgia is one of them. Anti-depressants are many. Those that are interesting to use in chronic pain are the ones with the most sedative effect. Tricyclics anti-depressants and associated ones are the mainstay. The new ones (SSRI’s) are disappointing. The anti-depressants can be helpful in fibromyalgia treatments. They may help to regain some control on sleep and are used at small doses for that effect. - Muscle relaxant drugs are disappointing on their own as they loose their effect rapidly. Baclofen and dantrolene are best used as complements only if and when required in fibromyalgia. - Benzodiazepines such as Valium are poor drugs in any chronic pain disease in general as in fibromyalgia. They have anti-serotonine effect and this increases the pain which is made worse once the sedation effect has gone. Not a good thing in fibromyalgia! Only one of them does not have this anti-serotonin effect (clonazepam). The worst effect of those otherwise good muscle relaxants is that they are addictive and should only be used when absolutely needed. I only use them in fibromyalgia for panic attacks. As for their sleep effect, a special warning must be made. The sleep they provide is not normal. In particular, they do not restore phase 4 which is the only period during which we stock our own morphine: the endorphins. This takes away the ability of the body to fight its own pain! Phase 4 is already the part of the sleep which is disturbed in fibromyalgia! On their own, all the above drugs are short lived and they all have side effects. In fact, those side effects mimic fibromyalgia symptoms making it appear worse. I still use them for periods of time when some fibromyalgia symptoms are exacerbated despite the long term treatment. On their own fibromyalgia drugs are disappointing. 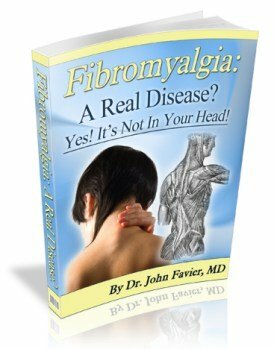 To understand why you suffer from fibromyalgia, click on the book! Whilst fibromyalgia longterm treatment is indispensable for long term results, the general treatment give a summary approach of what fibromyalgia treatments can do. Fibromyalgia treatment rests on the longterm treatment. Breakthrough pain can benefit from the short-term treatment. Understanding fibromyalgia is the first step towards relief.